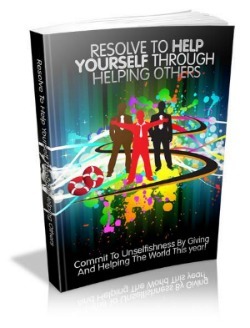 "Resolve To Help Yourself Through Helping Others"
Do you sometimes think your life is detached and empty? Are you going through the motions of life but not really LIVING? Would you like to finally let go of your severe case of “the negatives?” Your cure may just lie in the power of giving. Yes, you can find renewed purpose, hope and joy for yourself in the unselfish act of giving to others. There is truth in the old adage that claims what you give away comes back to you tenfold. If you could use a lift and a bit of motivation, grab this free report from Herb Ammons today. •	... and much more! Herb has spent many years of his life helping others achieve happiness and success with his motivational speaking and writing. If you’d like an ongoing dose of Herb, subscribe to “101 Keys to a Happy Life” Newsletter and start living a happier, more fulfilling life. Not tomorrow. . .but right now. . .today, and every day for the rest of your life! “101 Keys to a Happy Life” Newsletter. I need a regular dose of Herb! Hi, this is Herb Ammons. I've spent many years of my life helping others to achieve the personal happiness and professional success they dream of. I have a strong No Spam policy. Your privacy is protected.